It seems like every six months or so, my little one is moving up to another size. And then you have to change wardrobes with the seasons as well. No joke- it seems like we are buying three different wardrobes a year for little miss! It can get expensive to clothe a growing kiddo year in and year out! That is why consignment and resale has become this mama's new best friend. I was beyond thrilled to be introduced to MoxieJean just a few weeks ago! What is MoxieJean? 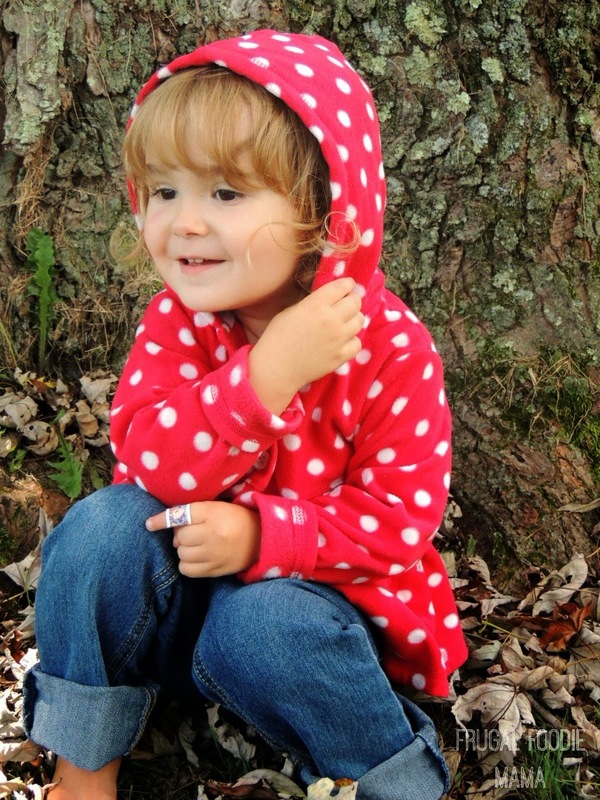 It is a fabulous upscale resale site that focuses on baby and kid clothes. 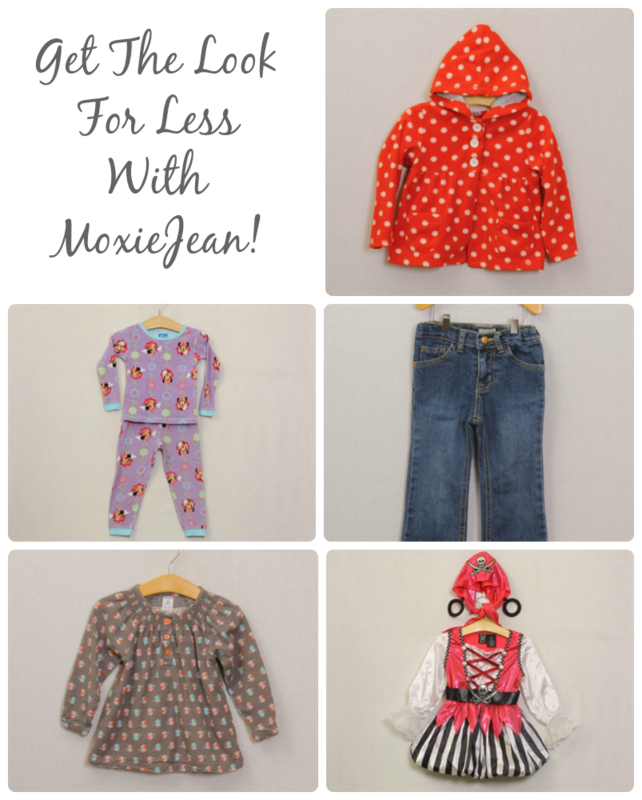 Not only can you buy high-quality, gently-used kids clothes on their site, but you can also sell them! Each piece is hand inspected, so you can be sure that you will only be receiving high quality items when you place an online order. You can find all your trusted and favorite brands on MoxieJean. 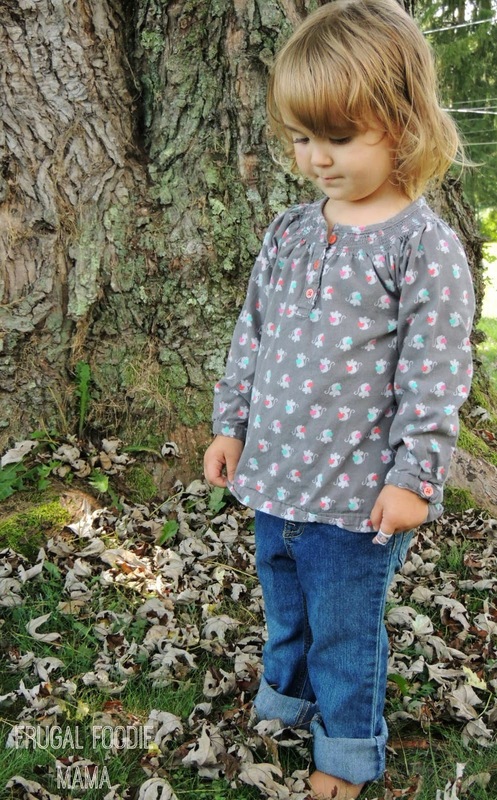 We just loved this Baby Gap and Children's Place pairing for this perfect-for-fall look for little miss. 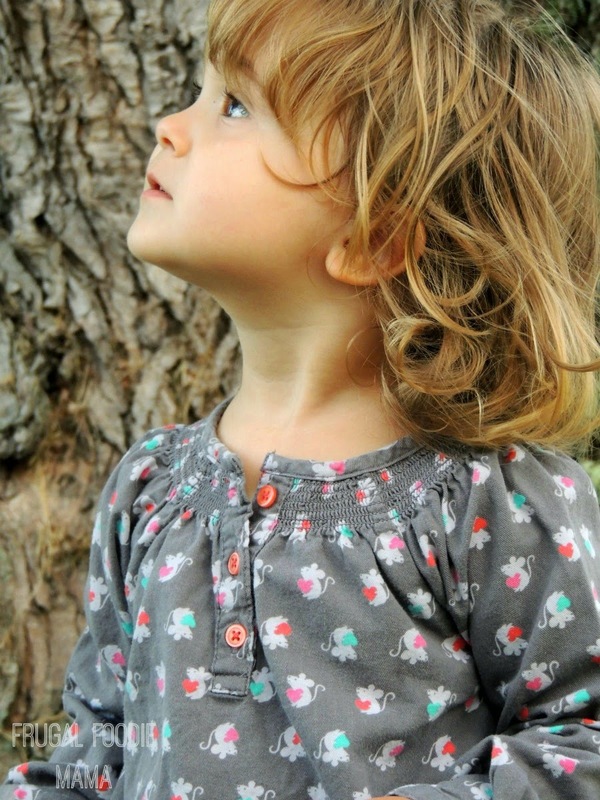 MoxieJean also offers unique, stylist-created looks from favorite brands like Gymboree, Gap, Tea Collection, Hanna Andersson, Mini Boden, Baby Lulu, and Ralph Lauren, plus designer brands like Oilily, Mayoral, DKNY, Burberry, and Juicy Couture, all at 75% or more off retail prices! No fall wardrobe is complete without a cozy hoodie. 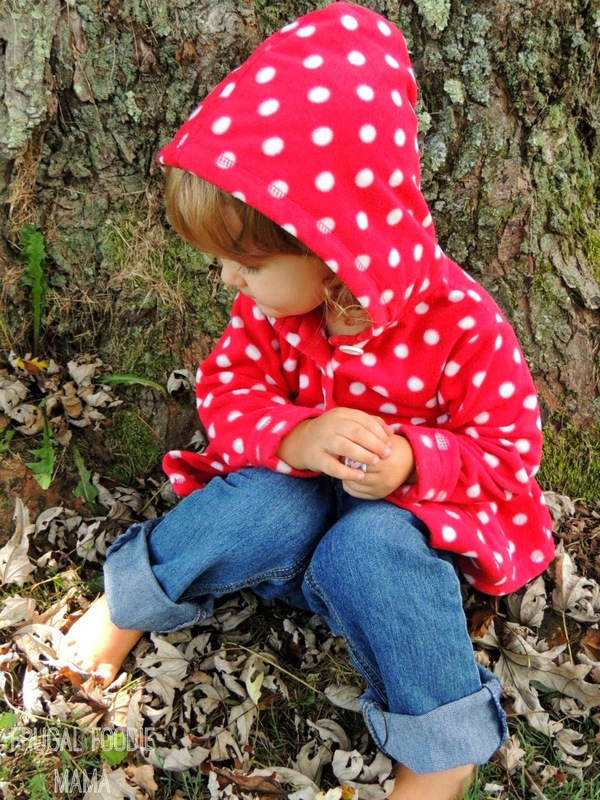 I adore baby girl in this soft, red polka-dotted fleece hoodie from Carter's! And we are also ready for Halloween this year! 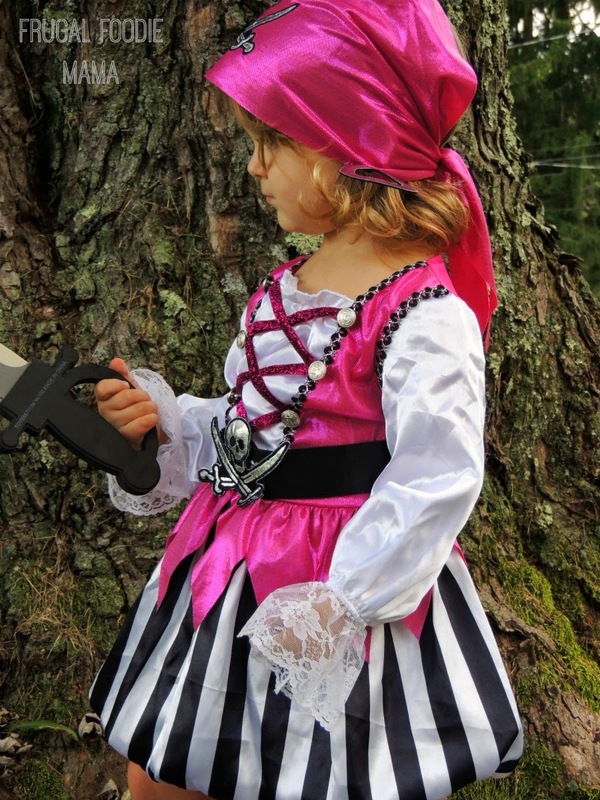 Yes, you can evenly find adorable, gently used Halloween costumes on MoxieJean. I hate paying full price for a costume that my daughter may wear just once or twice. 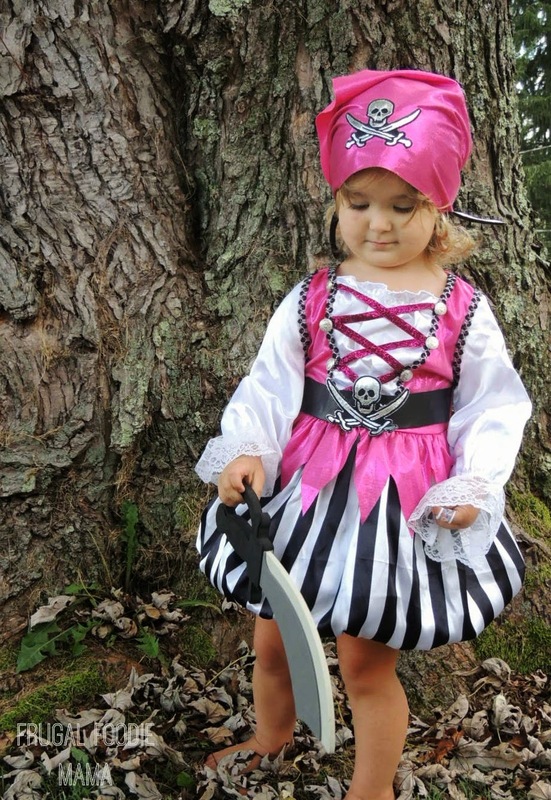 She will be the most adorable pirate girl ever this year thanks to MoxieJean!